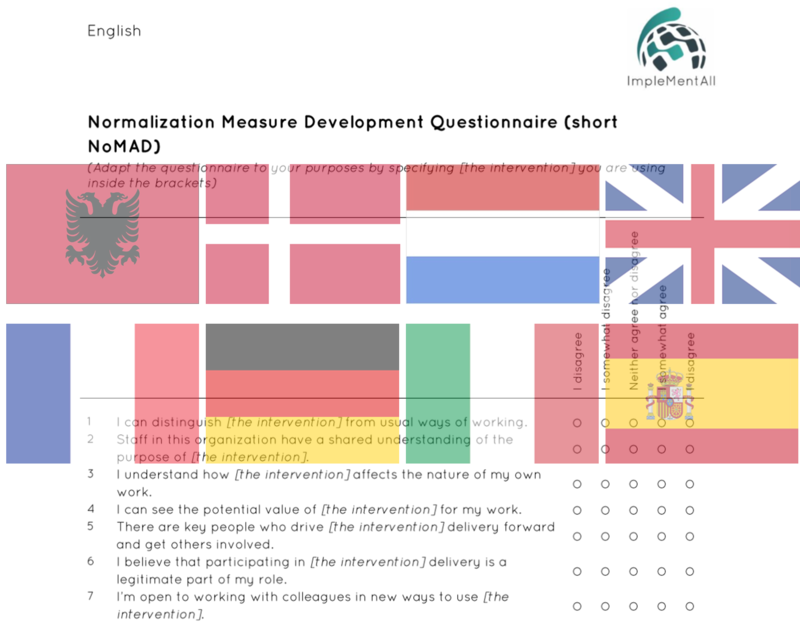 The Normalisation MeAsure Development questionnaire (NoMAD) has been translated into seven different languages other than the original English version. In that connection, we in IMA have decided to publish the questionnaires here on our website for your convenience. Along with the translations themselves, you will find guidelines for their use and links to relevant information. NoMAD is a tool for measuring the constructs of Normalisation Process Theory (NPT). It consists of a questionnaire with a set of 23 survey items for assessing implementation processes from the perspective of professionals directly involved in the work of implementing complex interventions in healthcare. For a brief introduction to NoMAD and NPT read our blog post 'Normalisation in a nutshell' or head to our NoMAD page.